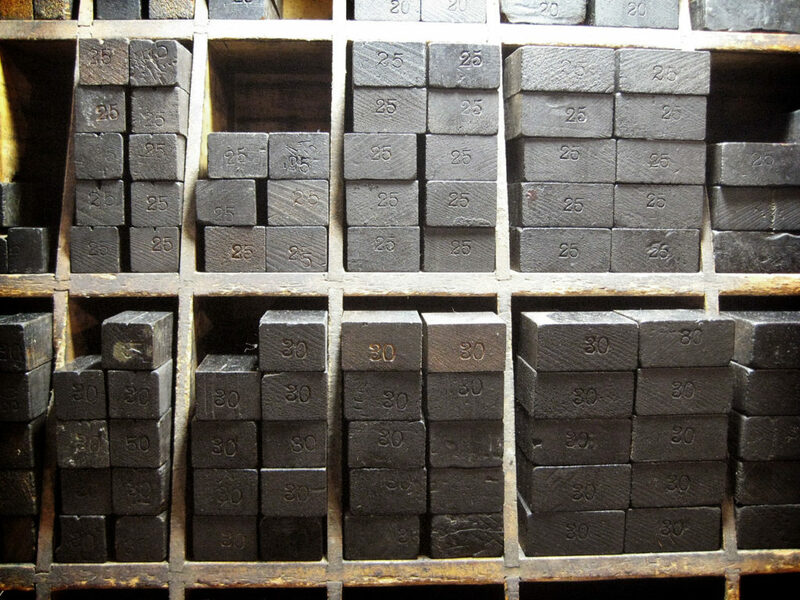 About – Tin Can Valley Printing Co.
Tin Can Valley is a barely-functioning print and design studio, in Le Sueur, Minnesota, specializing in letterpress printing using old worn-out wood type on antique printing presses. Good question! It has three answers, but only two of them are real. 1) I’m a music fan, and it seemed like a clever play on words to Tin Pan Alley, a historical region of New York City where many classic songs were written and published in the late 19th and early 20th centuries. 2) My studio overlooks the valley of the Jolly Green Giant, arguably the region most noted for the invention of modern vegetable canning. I grew up here, and every member of my family, for several generations, has worked for the Green Bean. 3) The local canning company used to provide spoiled food and rejected cans to farmers to use as animal feed. One such farmer, Wallace Trunkler, back in the ’50s, used to bring home cases of dented or mislabeled cans to feed to his pigs. He had a chopping block out in the pig yard, and would lop the top off of each can, one by one, with an axe. After tipping the veggie contents into a trough, he would toss the can over the fence into the ravine. For fifteen years, this pile of cans built up below the hill, until the great flood ’65, when a sudden snowmelt sent a deluge of empty cans down the narrow ravine, plugged the culvert under the four-lane highway, piled up in the middle of the southbound lane, and stopped traffic all the way back to town. That little ravine was forever remembered as Tin Can Valley.